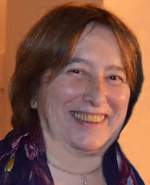 María del Carmen Aguilar is presently a singer and Assistant Director of the Estudio Coral de Buenos Aires, a choir which is recognized as the most distinguished chamber choir in Argentina, teachs Music Analysis to musicians and teachers, and has been Professor of Music Analysis at the University of Buenos Aires. María's education was interdisciplinary and thus provides an ideal background for her work in applied music analysis. 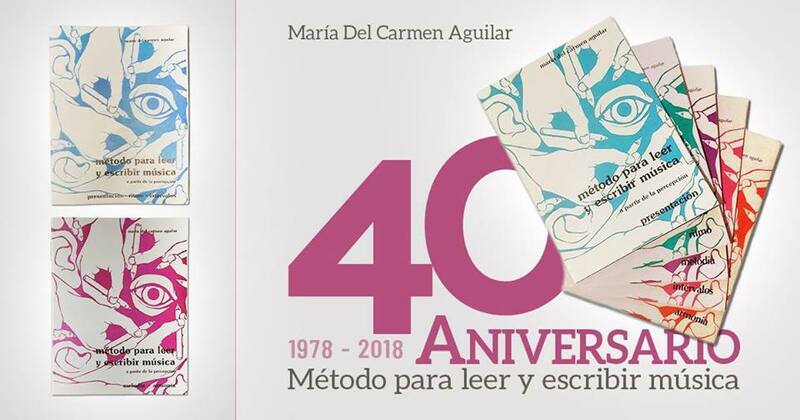 She studied Architecture, graduating from the University of Buenos Aires, as well as music theory, music analysis and music performance, both in singing and choral conducting. As a teacher, María has been invited by the Department of Culture of her country, and Universities and Music Schools in Argentina, Uruguay, Brazil, Mexico, Spain and Norway, to conduct in-service training courses for music teachers. She also gives Music Analysis Courses for performers and composers and has gained particular esteem and reputation for her pioneer work in aural training methods, and folk music in music education. Between 1990 and 2000 she attended regularly the Seminars and Conferences organised by ISME (International Society for Music Education) and presented papers and workshops. She served at the ISME Commission "Education of the Professional Musician" (1990-96) and acted as its Chairperson (1994-96). She also represented this Commission at the ISME Advisory Panel on Music of the World's Cultures. In 2000 she was invited as a Panel speaker for a Plenary Session at the XXIV ISME Conference in Edmonton, Canada. She chairs the non-profit organisation Redes Musicales, focused on organising and supporting projects on Music Education. She has published: METODO PARA LEER Y ESCRIBIR MUSICA A PARTIR DE LA PERCEPCION (Music Reading and Writing Through Perception), EL LIBRO DEL MAESTRO (The Teachers' Book), MELODIAS ATONALES (Atonal Melodies), MELODIAS MODALES (Modal Melodies), ESCALA POR TONOS (Whole-Tone Scale), FOLKLORE PARA ARMAR (Composing folklore), APRENDER A ESCUCHAR (Learning to Listen), EL TALLER CORAL (The Choral Workshop), and three collections of choral arrangements: 12 CANCIONES POPULARES AMERICANAS (12 American Folk Songs), CINCO CANCIONES FOLKLORICAS (Five Folk Songs) and CANTAR EN ARMONIA (Singing in Harmony). 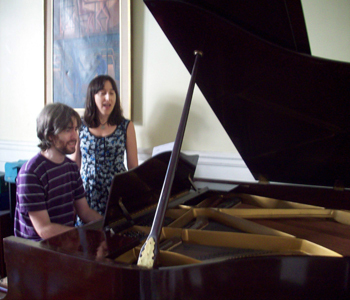 Maria's children, Gabriela La Malfa and Diego Ruiz are also musicians - a singer and a pianist.